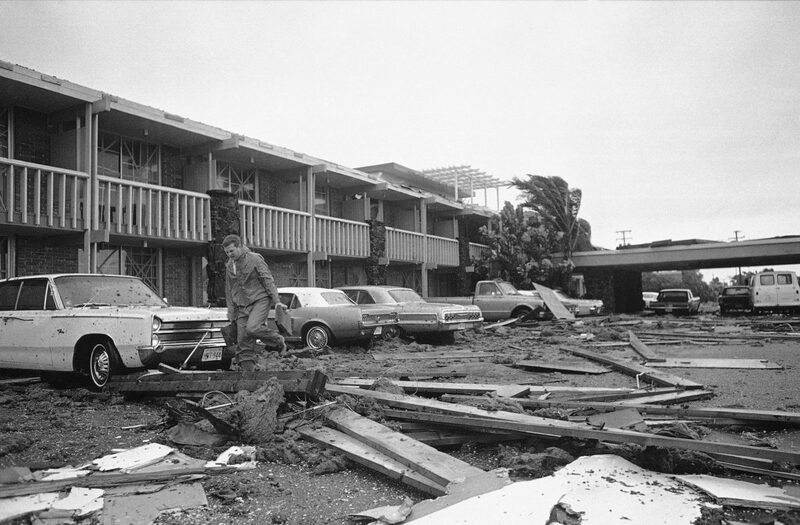 The Fort Brown Motor Hotel at Brownsville was heavily damaged by wind and water brought by hurricane Beulah to the Texas gulf coast on Sept. 20, 1967. McALLEN — The end of the world. This is what a trembling 13-year-old Carlos Vásquez imagined would occur once Hurricane Beulah made landfall, fearing that it was only a matter of time before his house was reduced to rubble or even whisked away by the storm’s violent winds ravaging his Brownsville home. “I have never experienced anything like this,” Vásquez, now 63, said in recollection of what was once the single-most frightening moment of his life. “It looked like the end of the world for me.” The young Vásquez was correct in his description of Beulah’s destruction in 1967, leaving a lasting impact that changed agriculture, the local economy, the business community and lives of South Texas residents in its wake. 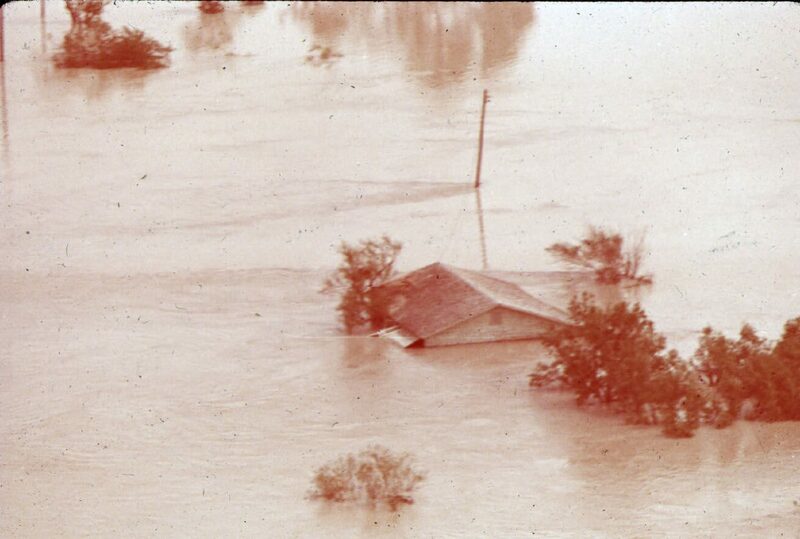 A home in the floodway after Hurricane Beulah in September 1967. The seed that started it all was a wave near Cameroon as early as late August 1967. “A month before landfall it was already a wave in Africa that got out into the Atlantic Ocean, struggled a bit,” said Barry Goldsmith, meteorologist and media coordinator with the National Weather Service in Brownsville. According to advisers from the National Oceanic and Atmospheric Administration, the system originally emerged over the Atlantic Ocean on Aug. 28, 1967, and interacted with a band of clouds near the equator that form as a result of northern and southern winds coming together — in an area known as the Intertropical Convergence Zone — and moved westward. On Sept. 7 of that year, the weather service issued its first advisory for Beulah, which at that time was a tropical storm with maximum winds of 50 mph centered near the islands of St. Lucia in the Lesser Antilles. About 24 to 36 hours before the hurricane hit, the weather bureau notified then-Port Isabel Mayor Leo Sanders that it would definitely hit Port Isabel and the Rio Grande Valley. “Prior to the hurricane, what we did was use the police car and go into the neighborhoods with the loudspeaker notifying everyone that the hurricane was coming and they had until a certain time to get all the stuff together and get out of town,” Sanders said in a video interview in 2007. By Sept. 19, Beulah was a severe hurricane moving erratically. It was at 9 a.m. the next day when it was centered near Brownsville, though slightly weakened with highest winds of 150 mph.